Theoretical clubbed with practical sessions in all the branches of science reinforce learning, for learning becomes consummate through application. To foster this, spacious Math lab, Language lab (Both Tamil and English) IT Lab, Robotic Lab, Physics, Chemistry and Biology Labs are well equipped with all modern apparatuses to propel and sustain continuous learning. The mathematics process is both a creative and explorative process and is the most important face of mathematics. It is the fountainhead from which mathematical knowledge flows and a central component of the infrastructure that makes today’s technological and informational world possible. School has well equipped Math lab for kids from LKG – VI. To improve the proficiency in English & Tamil languages a language lab is opened for all the students of classes LKG to VI. Children are attending the lab every week and learning communication skills. Language lab contains lots of games and activities. Computer skills allow a child to become exposed to new ways of thinking, using both their creative and logical thought processes. Math, Science, Art, and other subjects can be incorporated into lesson plans in fun and interesting ways for children of all ages and learning capabilities. SKPVIS provides world class IT lab. It is imperative for schools to have the latest and high quality science lab supplies these days. Science is different from any other subject. In order to understand its concepts, one has to look beyond the books and conventional classroom teaching. Effective teaching and learning of science involves seeing, handling, and manipulating real objects and materials. The knowledge that kids attain in classrooms would be ineffectual unless they actually observe the process and understand the relationship between action and reaction. Effective teaching and learning of science involves a perpetual state of show and tell. 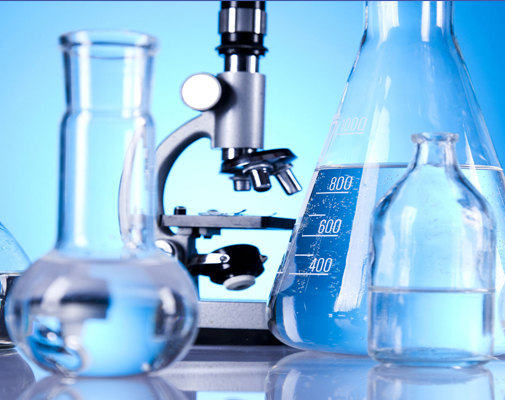 Thus SKPVIS provides latest and well equipped separate Physics, Chemistry and Biology Labs.